The latest North American My Nintendo rewards have gone live, offering a nice selection of titles at discounted prices across Nintendo 3DS and Wii U. 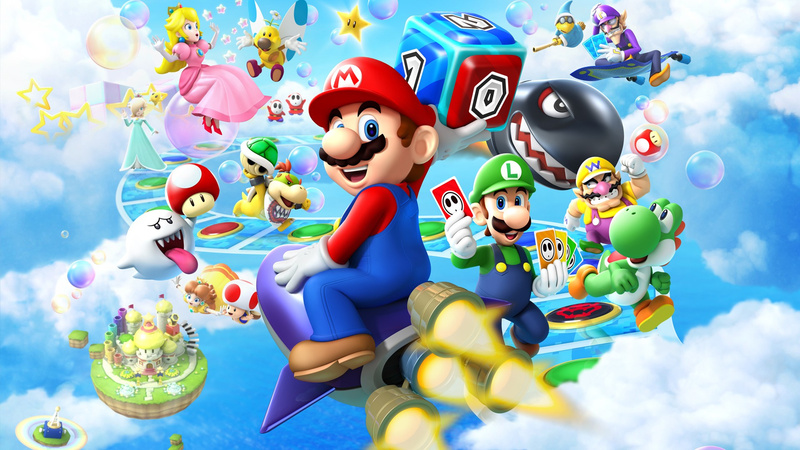 We have several Mario titles up for grabs, including two Mario Party entries, as well as Animal Crossing, Dr. Luigi (possibly building the hype for the upcoming Dr. Mario mobile game) and more. As always, you can take advantage of these discounts by simply using the required Gold or Platinum My Nintendo Points listed below. 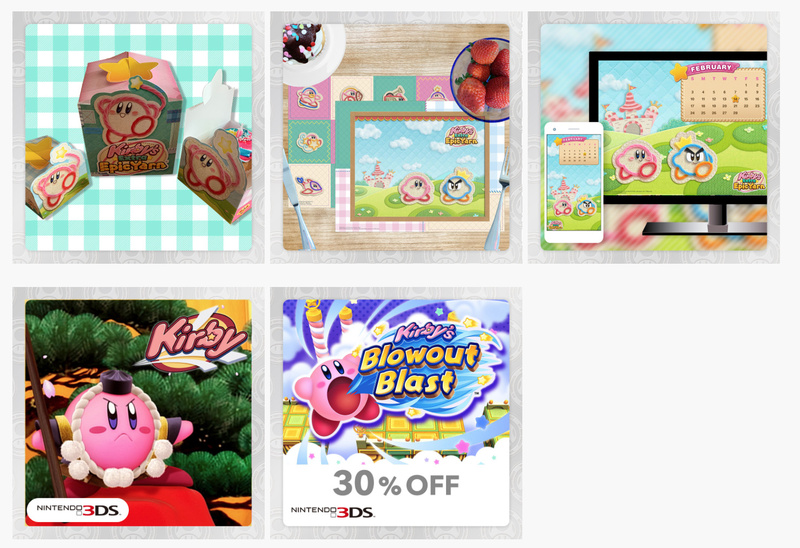 In addition to those, several Kirby gift items are also available, including printable gift boxes, placemats, wallpapers and a video. Oh hey! I forgot about Kirby's Extra Epic Yarn! That might just be my last 3DS purchase, alongside Bowsers inside story around christmas. It absolutely blows my mind how the Switch has been on the market for almost two years and we STILL don't have rewards for it on MyNintendo. The Wii U though? The console considered long dead and only 13.56 million people own? Yeah let's give discounts to the same 10-20 games over and over again. Makes total sense. Did Nintendo just....forget what MyNintendo is? Seriously what's going on here? This is an embarrassment. Seriously, been thinking this myself. Its really kind of asinine at this point and a disrespect to their customers. @AlternateButtons Considering how much profit they're making on the Switch so far, I imagine they haven't included Switch rewards yet to maximize profit as much as possible. If Switch sales ever start dipping across the board, then that might be where they'd start introducing Switch rewards. I'm not a businessman though, so lord knows if my thoery makes any sense. Once again, nothing I'm interested in/stuff I already own. @TurboTEF Oh! But make sure you buy a port of New Super Mario Bros DX Bowsette Simulator at a full priced $59.99 for $6 of EXTRA GOLD POINTS!!! @TJWorks I just dont see how this makes sense though. Like why not include the Wii U ports at least? Yknow? So past Wii U owners at least have an incentive to double dip? @AlternateButtons ehhh. i kinda wish gold coins were worth more, but ive gotten $10 off a switch game with my gold coins, vs $15 off offers on a 10 year old wii title i bought at launch. @AlternateButtons Costco and Xenia/whatever its called sell $50 eshop cards for 40-45. I got one last week for $35, downloaded the game and got my $6 gold points refund which paid off another game entirely. @AlternateButtons Probably 'cos the Wii U ports are still selling like hot cakes, mainly from people who didn't have a Wii U to experience the original versions. So they don't feel any incentive to put them on sale. Besides, I think they did have some Wii U ports on sale in eShop during last Xmas. So this kinda cements the overall pointlessness of MyNintendo rewards. I almost did but I'm waiting until I can get the game for $40 or through a B2G1 free deal. Unlike Donkey Kong, Bayonetta 2, and Mario Kart, that game just isn't worth double-dipping at full price. I will buy Super Mario 3D World DX at full price though because its a damn great game! @russellohh I will agree there. Gold Points HAVE saved me on some most wanted games before. I'm currently hoarding $10 worth for A Hat in Time. That being said though....its nice but in comparison to what we SHOULD be getting, it's laughable. What would be better? Buying 6 full priced games to get $10 off your next game? Or having that next game be 30% off thanks to MyNintendo? It just doesnt compare. Gaaah! You knew you what you were doing when you trolled my heart with that "physical kirby goodies" line in the title. While you're not technically wrong, a printable file is still digital!! I yern for the Club Nintendo days when physical prizes were actually a thing. My Club Nintendo mario sprite shirt is full of holes and falling apart. But Marie Kondo told me that if it sparks joy, I should keep it. So here I am wearing my old dingy nerd shirt because of MyNintendo's shortcomings. This is such rubbish. Dead systems. Discounts on games for dead systems. "Oh but on Switch you get Gold Points!" yeah, gold points are basically 1 cent off per dollar spent. Bite me. edit: 3DS IS dead. Calling it now. What is the time, nurse? @AlternateButtons yeah but how long does it take for these 30% oiff coupons? I'm not CERTAIN, but i have a good 300 nintendo games and i feel like the 30-40% off games are always at least 2 years old, and many are 5-10 years old. thats why i can rarely use them- theyre really only good for rebuying the $20 player select download of a $60 game i traded in or sold many years ago. with gold points i get them on new games and spend them on new games. the super awesome giant $15 off rewards are so old theyre worthless to me. It's time to put these discounts away for 3DS and Wii U, and just focus on Switch instead. In other news, Sony is having a PS3 and PSP game sale. That’s a joke. I was excited to open this posting only to find out that it is not Switch related. 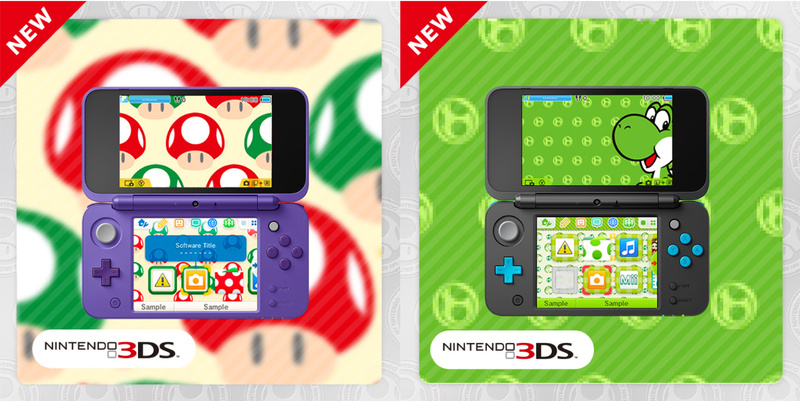 I'm gonna be getting that Yoshi theme for my green 2DS. I get it that Nintendo doesn't want to impact Switch game sales...but c'mon, there's a few games in its library that could seriously benefit from special discounts. For one thing, as @AlternateButtons said, discounting Wii U ports for MyNintendo members would be a great way to encourage Wii U owners to double dip on Switch versions. Also, there's even a few current games on Switch that could use a discount--1-2 Switch, Fire Emblem Warriors, Fast RMX, etc come to mind. At the very least could they introduce themes on Switch so we can get those through memberships? The Gold points are cool and all and they've actually saved me some money on a few purchases, but I seriously feel like Nintendo needs to, y'know, acknowledge their wildly successful console in their membership programs. Just a thought. 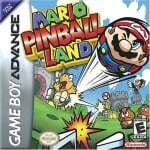 @Mrtoad Mario Pinball Land and Kirby's Pinball Land are actually two of my favorite pinball games. I wish there were Switch ports of them. I can just download all of this for free and not waste my coins, if only they started giving Switch discounts like people have been asking for. 3DS is dead Nintendo step up your rewards. Mario Party Star Rush is worth it. They should bring WiiU games over to the Eshop on switch and with these discounts. Never owned a WiiU, so I’m cool with paying for some of those games, but not all of them. The same 3DS games get discounted all the time and recycled every couple months. They’re either games that I have purchased previously or will never buy. Yay, more discounts for games on systems no one cares about anymore! @ilikeike I agree also, there's quite a few Wii U games that made their way to Switch and they could really use a discount! Mario Kart 8 was the only Wii U exclusive game that I double dipped on Switch, because of the extra content and portability, not to mention it's one of my favorite Mario Kart games. I don't mind having Tropical Freeze, Captain Toad, and New Super Mario Bros. U on my Switch, but I'll likely wait until they have a decent price drop. The only thing I really like about My Nintendo are the gold coins you can use on the Switch eShop. Other than that, it's a step backwards from what Club Nintendo was, and that makes me sad. It’s the second time I spend point towards a Animal Crossing discount, and the second time I don’t use it. Theres something about animal crossing, I want to try it... but I am sure I will not enjoy it. @AlternateButtons You can apply your gold coins to any Switch game as far as I know.